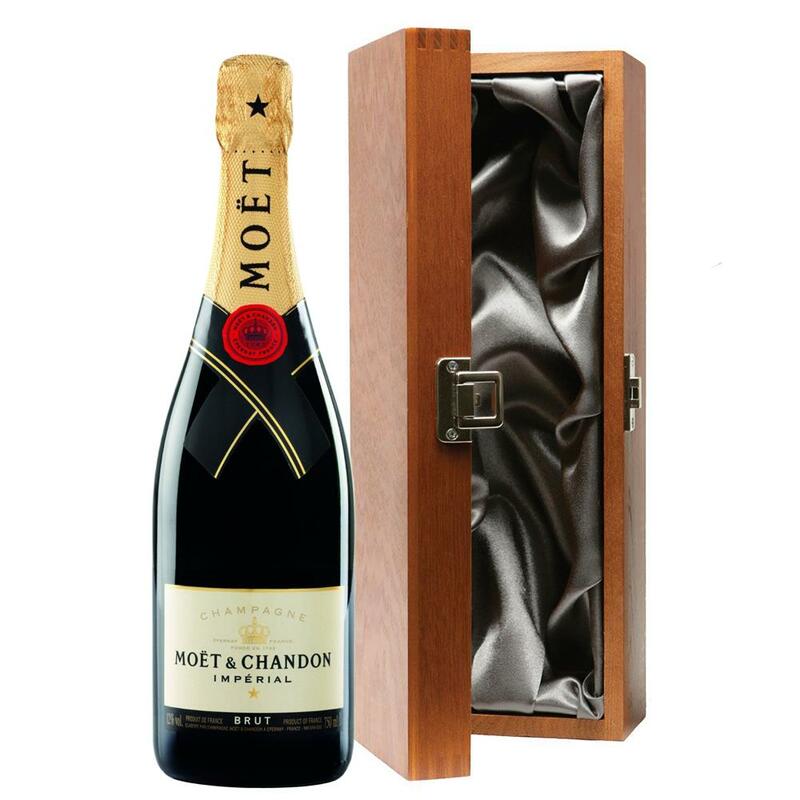 Luxury added to your bottle of Moet & Chandon Brut Imperial Champagne Bottle - In Moet Gift Box with the alluring wooden case with hinged lid. The case is made from wood, which is beautifully complemented with stainless steel hinges and clasp. 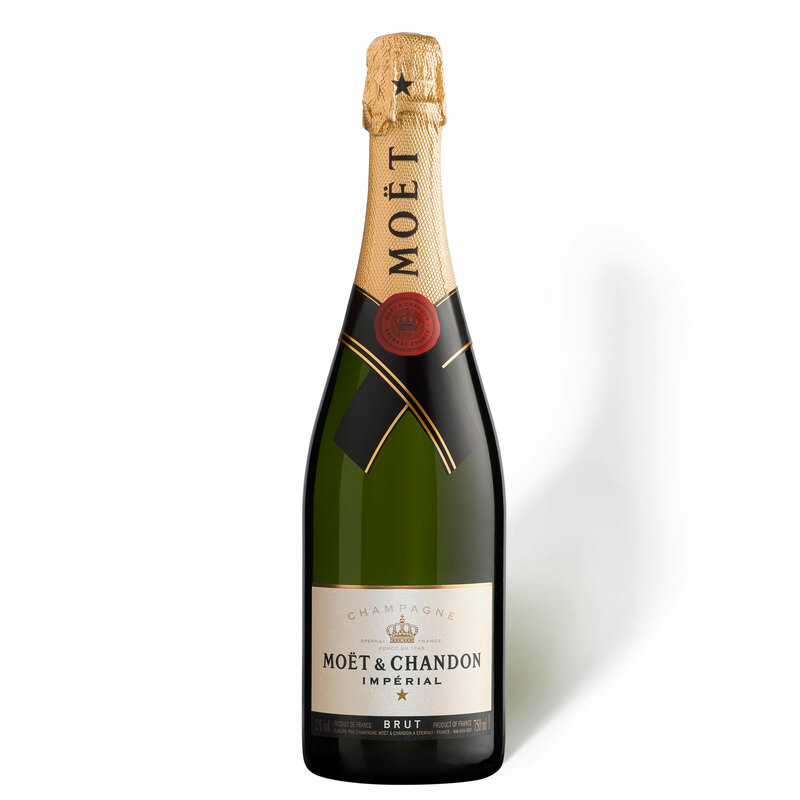 This case adds the ultimate luxury to any gift and is delicately lined with silver satin.